Due to the new interest rates, all of the major banks in South Africa are able to offer 100% mortgage bonds. This is thus a very exciting time for home buyers, especially for first time buyers. This means that you can qualify for a no deposit loan, meaning that you don’t have to have a curtain amount of cash for a deposit on the property. Just to give you a better idea, most of the major banks in South Africa can give you a 100% bond if the proposed property is worth up to a maximum of R1.5m. If the property value exceeds the amount of R1.5m then you would be granted a 90% bond, which means you then have to pay a 10% deposit. 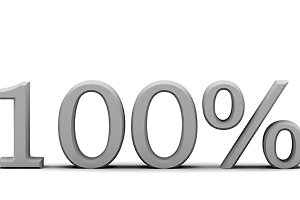 In this article I will explain what you will need to apply for a 100% mortgage bond. The minimum requirements are actually very simple and straight forward. – Firstly you need to be a South African citizen with a South African bar coded ID document. – Your salary must be deposited into your personal bank account at the end of every month. – Your credit record should have no bad judgements or errors on it. – The proposed property should be in a lending state, meaning that it should be totally occupational. – Your mortgage payments should be paid via monthly debit orders or a salary deduction facility. – You also need to be permanently employed for at least two years. – Very important is that you should not have any late payments on any accounts for the past year/ 12 months. These are just a few points to keep in mind. The banks will keep factors in mind like the area and the grading of the area where the property is situated. They will also compare permanent employed people versus self employed people. The reason for this is just to asses their risk by lending you money. The smaller risk you are to the banks the bigger the chances will be for you to obtain a 100% mortgage loan. Another frequently asked question is; would a 100% mortgage loan cover any attorney costs? The answer is no, banks will only provide a 100% bond on the value of the property and all attorney, registration and transfer fees should be separately budgeted for. The banks how ever offer you nowadays the option to lend money from your pension or provident funds to be able to pay for your extra attorney, transfer and registration fees. You will only be allowed to borrow 80% from these types of funds. Consult with your lender to find out a bit more on these options. Thanks to the interest rates we can all enjoy the benefits of a 100% mortgage loan if we keep this info in mind. Contact your bond originator now to apply for your home loan. The idea of living in your dream house has become a reality.